A fluid transition it’s been. 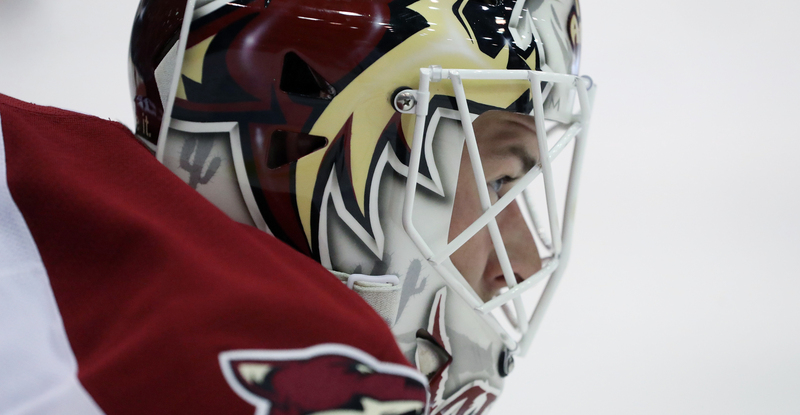 Less than a year removed from his season of collegiate hockey where he led the University of Minnesota-Duluth to the NCAA championship game while being named a finalist for the Mike Richter award, and a swift seven months since signing an entry-level contract with the Arizona Coyotes, Hunter Miska’s name has become a household one within the organization, and notably so in Tucson. 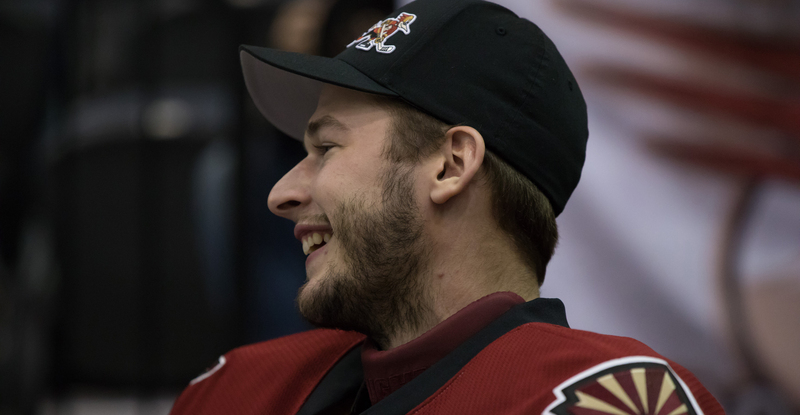 Working with a hearty tandem of goaltending, Miska is one of the three sturdy options the Roadrunners are able to call upon to start at any given time. He has, too, arguably been the most consistent. He’s a perfect 4-0-0 on the season in five starts. The team as a whole, since allowing seven goals on opening night, has surrendered a combined 15 in its last eight games, four of which Miska has started – a span where they have not lost a single contest in regulation time (6-0-2-0). In his previous four starts, all of which have been wins, he’s posted a .920 SV% and a 2.50 GAA. The Roadrunners have allowed the least amount of goals (22) of any team in the American Hockey League this season, and hold the fourth-best GAA, their opponents averaging a rather slim 2.44 goals per game. Miska is 2-0 in overtime contests this season; and is the only goaltender to shut the door in extra time in the team’s four games that have extended past regulation. “I’m focused on being the best goalie that I can be, and to keep winning hockey games while having a key role with this team,” he added firmly. With the Roadrunners holding the best record in the league entering their weekend series with the Bakersfield Condors, the importance of Miska’s role has been made quite clear. Chances are, he’ll get to further define it when he makes his sixth pro start in the coming days.